The Wildcat Robotics team tasted success at their first qualifying competition this past Saturday, making it into the elimination rounds. We will be attending a total of three qualifying competitions for VEX Robotics. Those teams who rise to the top are invited to the Southern New England Championship Tournament in March. Last Saturday, January 16, was our first competition, which was held at Quinsigamond Community College in Worcester, MA. There were 41 teams competing and 24 were selected to participate in the elimination rounds. 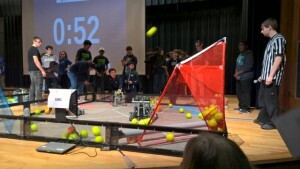 A match consists of four robots, with two teams allied and competing against the other two teams. There are many ways to score points. The allied teams work together to use the strengths of each robot to maximize the number of points they can score. Each team is scheduled for six matches throughout the first half of the day with different allies and opponents each time. In the second half of the day, the top eight teams have the honor of choosing the allies they want to compete with. These events not only showcase the engineering that goes into each robot, but also effective collaboration among the teams from different schools, which is very cool! Watch video from the competition. Our entire team was present plus another interested student, Isi Donnelly, Mr. Matthias, and I. 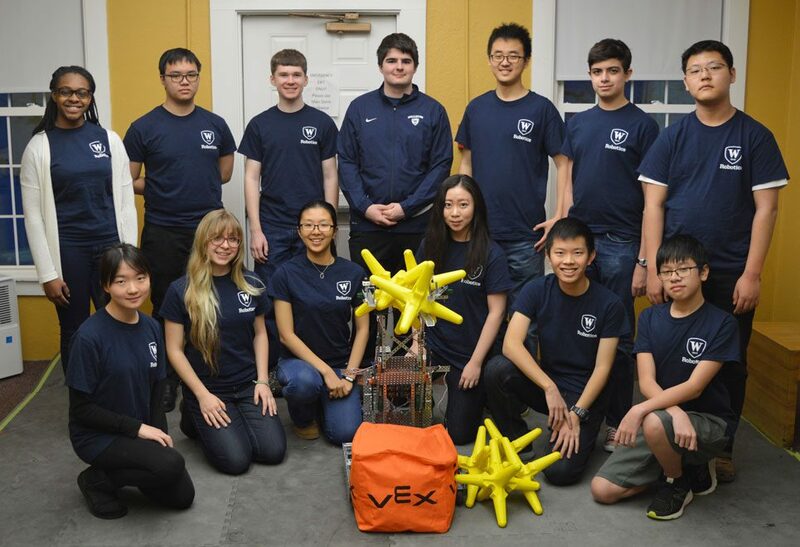 The team members are Matthew Nguyen, Kohmei Kadoya, Andrew Pellegrini, Milo Servin, Alex Marwaha, Gabriel Davila Bustamante. This year’s team members are in grades 7-10. Our next tournament will be at the same location on February 13. The third event will be on Feb. 27 at Middletown HS in Middletown, CT.